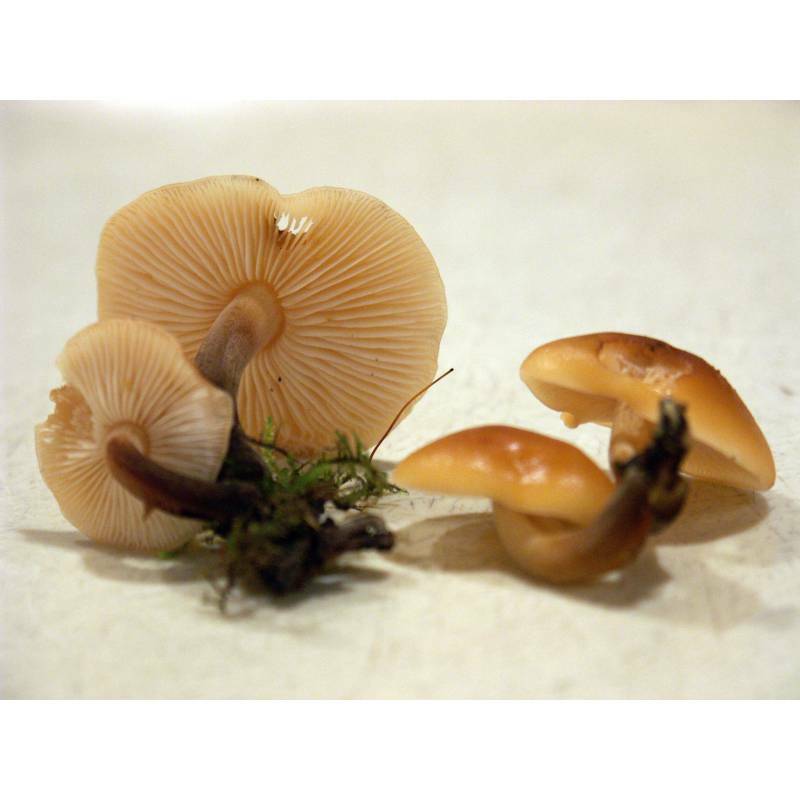 Eating notes: One of the few edible species available through the winter. It is sometime recommended to remove the skin (pellicle) from the cap before cooking. Cap: 3-9cm Sticky. Orange, paler towards the edge. Gills: Adnexed. White or pale cream. Stem: No ring. Pale cream or yellow near the apex; darkening towards the base. Distinctively velvety. Flesh: Thin. Same colour as surface. Habitat: In clusters on dead deciduous wood.